HTC One 2: should Samsung be worried? The Samsung Galaxy S5 might have a serious contender on its hands if the latest effort from HTC can live up to the hype. 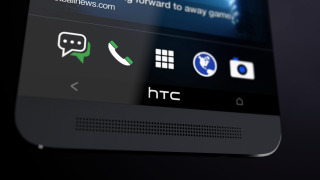 The HTC One 2 is tipped for a March 2014 launch much like its Korean-based rival, and although we might not be seeing quite the same level of benchmark-setting specs as the S5, there are plenty of reasons to be geared up for HTC's next flagship. A rumoured 5-inch 1080p Full HD screen should be more than sufficient for all your mobile needs, and a meaty 2.26GHz Snapdragon 800 chip will make Android 4.4 KitKat whiz about with ease. On top of that, we may also have Sense 6 to look forward to, as well as an improved camera. Check out the video below for a roundup of all the latest rumours and info surrounding HTC's upcoming headline handset.